If you’re around Milford Lake at all today (Saturday, August 17), if you head down to the south boat ramp, you’ll be able to check out the cardboard boat races. From noon to 4pm, you can watch (or participate!) 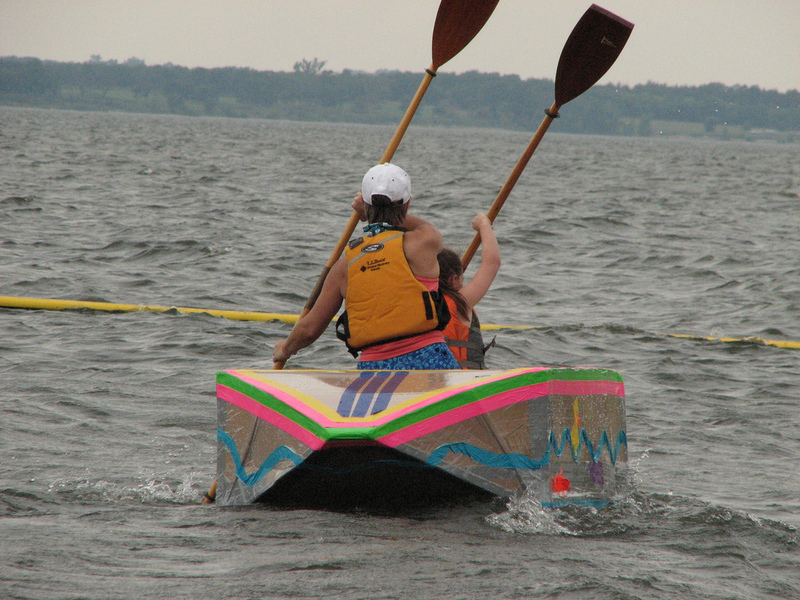 in the “Float Your Boat” race where participants ride in boats made entirely from cardboard and duct tape. If you want to whip up your own creation that can hold two people, there are cash prizes available! This entry was posted in Around the state, Off the trail and tagged Boat, Cardboard boat race, Duct tape, Events, milford lake, Recreation, Sports. Bookmark the permalink.